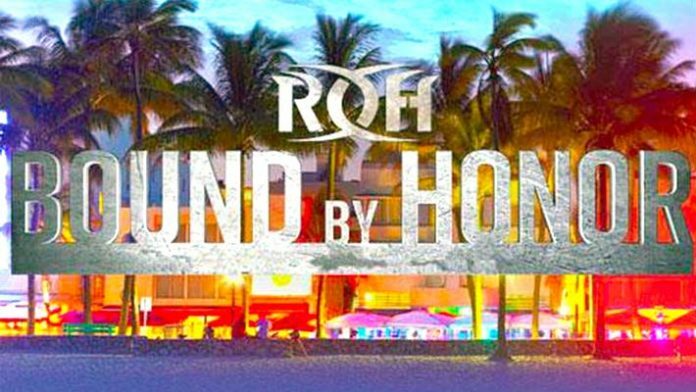 New matches have been announced for the Ring of Honor “Bound by Honor” event in Miami, FL at the Watsco Center on February 10th. The Baltimore-based promotion has announced the following matches: ROH World TV Champion Jeff Cobb vs. Rocky Romero, Marty Scurll vs. Silas Young vs. Kenny King vs. NWA Champion Willie Mack, and PCO vs. Mark Briscoe. ROH will hold Meet & Greets for fans at 5pm while the show kicks off two hours later. The Baltimore-based promotion is expected to announce more matches for this show in the coming days.